A dress................as a gift wrap embelishment. There is something about this gift wrap concept I like. Actually there is a few things I like. Novel. Fun. Easy. 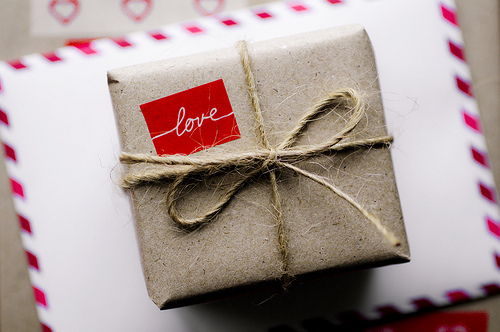 And it is perfect for wrapping up a fashionista gift for friends who love your gift wrap efforts and presentation. In fact, they expect it from you, don't they? It was this fashion photo that got me thinking about using a paper dress as a gift wrap embellishment. I loved the volume of this skirt so my only challenge was finding a way to build layers and volume in the skirt, that was the part that I thought would be fun to capture in a gift wrapped manner. Or at least as much as possible when using paper instead of couture fabric. Once I found the gift wrap mesh that was hiding away in my supplies, the rest of the dress was easy to build. I simply cut leftover pink damask gift wrap paper to make the bottom skirt lining and the bodice is a wide black flocked ribbon, then took 3 tiered layers of the gold mesh and secured them with a pewter push clip. You begin carefully threading ribbon (the smoother the better) through the mesh holes at the bottom of each mesh layer (not too close to edge as it the mesh will pull apart) and let the ribbon pouf a bit as you move it along. You are moving the ribbon in the top and then under the mesh. In this case there is 3 mesh tiers, each each shorter and 3 layers of ribbons which gives the skirt volume. There is no precise measurement, you can play with any ribbon any way you like, as much or as little as you want. I used a 1/2" chartreuse satin, when I tried a wider version it pulled the mesh holes too far apart. I think I may have a solution to that problem but I will demonstrate on my next "dress embelishment" post. If it works. I really like that the paper dress and gift wrapping has dimension and fullness as this top view shows. 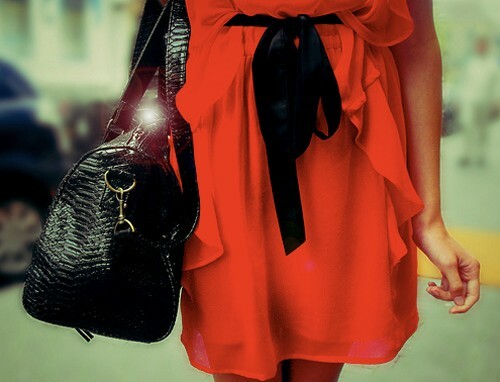 Simply makes the presentation more visual and fun when presenting to your fashionista friend. You can go crazy with pattern (using up leftover gift wrap pieces) as I have in capturing the look of my inspiration photo or twist it to a more subdued palette. Depending on the size of your "dress", you can even use patterned scrapbook paper for your patterned skirt liner. It does peek through the mesh overskirt so make it pretty. I will share some other "dress embellishments" over the next few weeks, perhaps a bridal dress for the wedding season ahead? This pliable mesh is available in most party stores in a variety of colours. I had the gold metallic mesh on hand and it happened to fit the colour direction I was aiming for but any colours would work equally as well or better. Perhaps pick a mesh colour that will enhance the gift paper colours you have on hand. I also use this mesh for wrapping wine bottles in an dramatic but elegant fashion. I chose a Paris giftwrap as my background (see inspiration photo above) but when your "dress" has this much texture and pattern, it would look fashionably stylish on any solid paper as well. 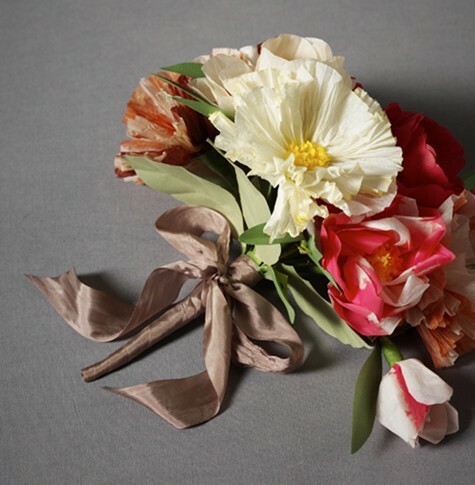 The bow is a simple 1/4" satin ribbon tied around the gift to fashion a bodice bow. It isn't totally necessary at this point, but I did think it finished off the presentation quite nicely. Try it, you will see it really is...... novel. fun. easy. Back to work, I have a wedding "dress" to design. Along with a holiday weekend with magnificent weather came the most wonderful read, a bit of a surprise to me. I had seen this book in a couple reviews but wasn't paying proper attention, somehow the title threw me off and I can't imagine why. The title is perfect (as it turns out) and so is the exquisite writing of new author Sarah Winman. 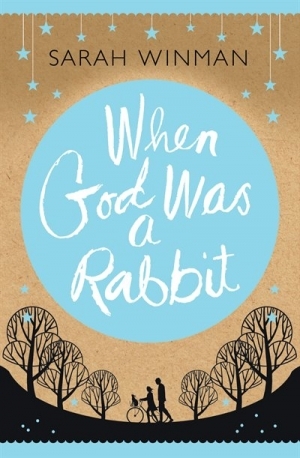 When God Was a Rabbit is one of those books where you fight with yourself. Do I keep turning the page or put it aside so I can prolong the ending? Can I possibly slow down this reading pleasure? In the end you just can't stop turning the pages and you just want to cry because this wonderful story is over and you know you just finished one of the year's best reads by a most magnificent new writer. 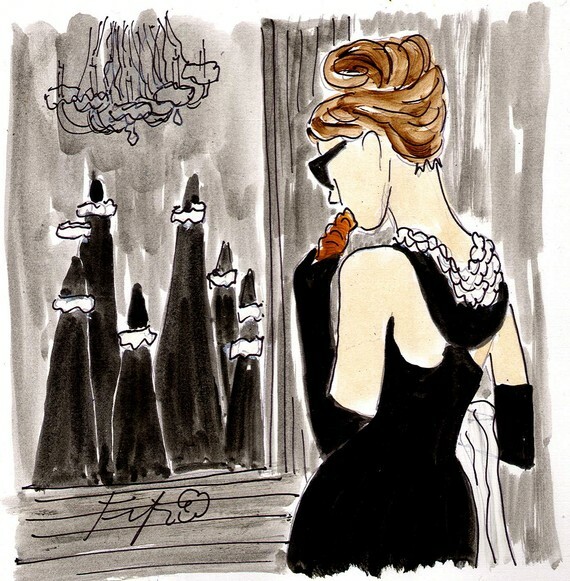 You can't have a blog and not know Fifi Flowers. It just isn't possible, her whimsical drawings are as colourful as they are frequent and that is the part that strikes my fancy. What Fifi sees is what Fifi draws, whether it be a Paris balcony, a stylish fashion photo or my blog header (click here to see 2010 post) and I got to thinking that it must be so much fun to have a direct line and immediate line between seeing and creating. 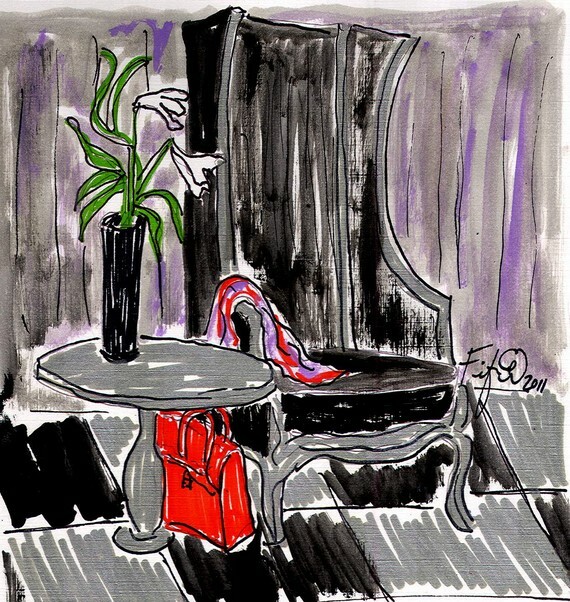 She often does a drawing a day, maybe more, and you can't help but think that if you are an artist what a wonderful dose of inspiration to introduce to each and every day. 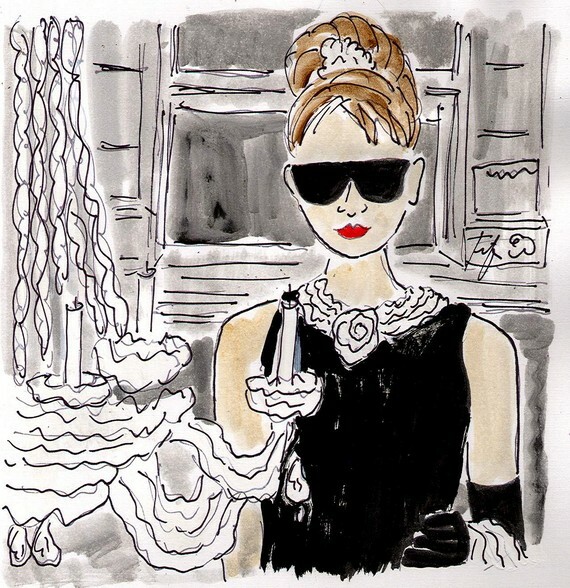 You can see Fifi's drawings at her Etsy shop here and though I am personally drawn to her stylish drawings that use black (my favorites being the Holly Golightly I and II), Fifi is best known for her Parisian subject matter, a love of fashion and her use of exuberant colour. 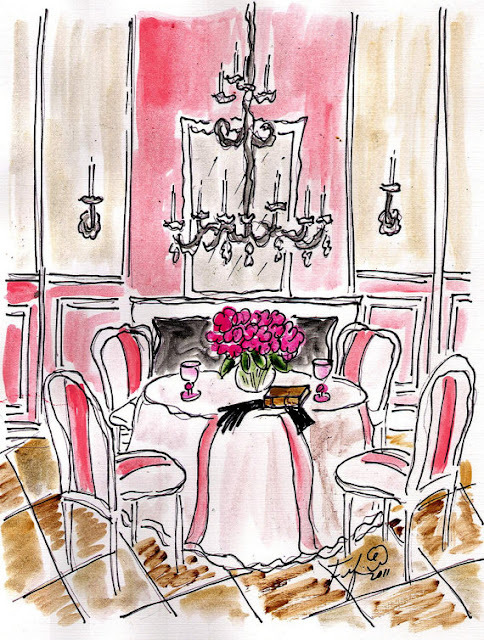 Most of her drawings are 5" x 7", perfect for framing with extended matt sizes and her reasonable prices mean you could consider building a collection of Fifi drawings to group in a fabulously fun arrangement. Fifi recently introduced a series of handpainted bookmarks to go along with some of her favorite reads, a thoughtful and colourful addition to any book gift. She truly sees inspiration everywhere, and I mean everywhere..........really, how much fun is that? Isn't there some sort of deal we have with Mother Nature? It doesn't seem fair after the long, bitter winter we had this year that sunshine and warmth would take so long. I don't know how much longer I can hold this umbrella. But I am waiting impatiently, the ground is so wet, the air so cool, it has delayed our tender plantings, our welcome burst of annual colour. Normally, I am a bit behind schedule anyways but our outdoor veranda is being screened this year and we are eagerly looking forward to bugless dining and evening reading, perhaps even an outdoor sleep so I was hoping to be ahead of the game this year. The weather has been so dismal, I am way behind on my cycling schedule as well. No cycling, no bathing suit attire.....I suppose it is too easy to blame Mother Nature for that one though, isn't it? Probably best to point the finger at the matriarch of them all..........genetics. Hope you are planting in your part of the world. 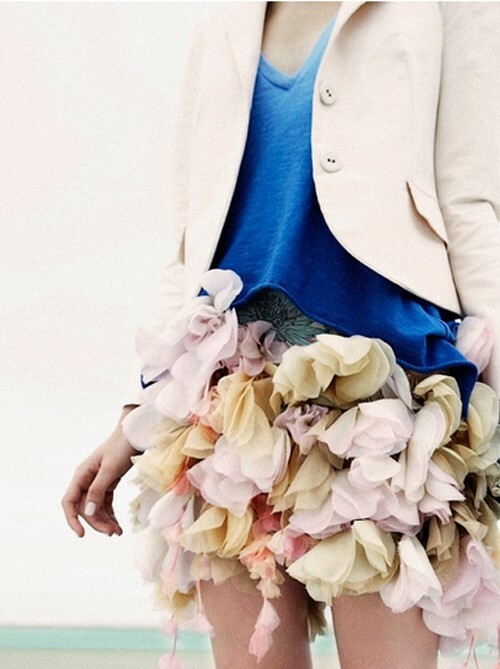 These images have been tumbling into my arms this week, masses of fabric flowers everywhere fashionable. 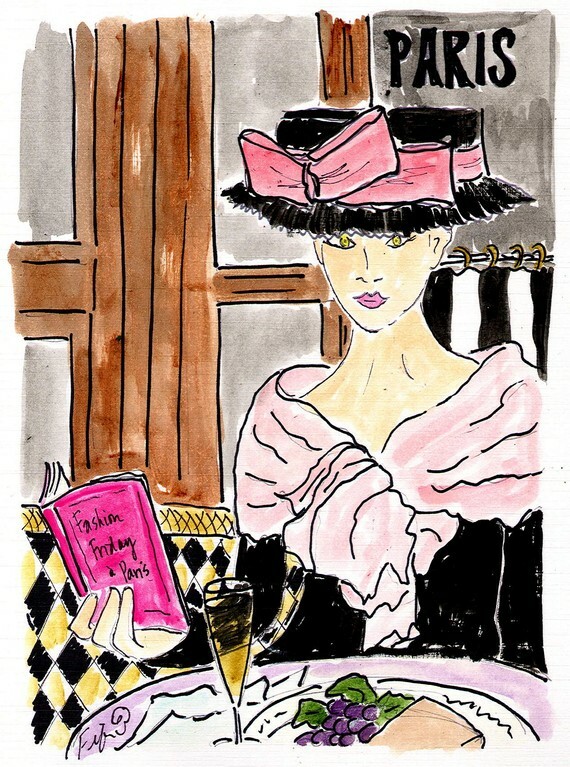 Fashion is such glorious fun these days, to observe, to inspire, to wear? Wear something striking this week. How well do you really know your own mother? Do you really see her? Really know her? As adults, are we all guilty of seeing our mother in a one-dimensional form, one that begins in need when we are children? Are we destined to always see our mothers through our own hopes and dreams? When a devoted mother leaves her remote, rural village to visit her adult children and goes missing in a crowded subway station in Seoul, a large Korean family wrestles with loss, guilt, blame, and love as they each question their emotional role in their mother's disappearance. How could this happen? And why can't she make her way back to them? 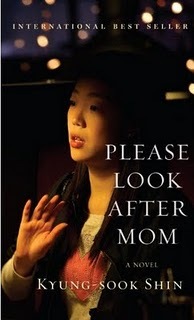 Please Look After Mom by Korean author Shin Kyung-Sook is a most heartbreaking look at family dynamics, cultural expectations, and grief as each family member struggles to understand the mother they thought they knew, and the one they never took time to know. "You stop arguing with Hyong-chol, because you realize that you're pushing him to take care of everything, as you always do. Leaving Father at Hyong-chol's house, you all head home. If you don't leave then, you will continue to argue. You've been doing that for the past week. You'd meet to discuss how to find Mom, and one of you would unexpectedly dig up the different ways someone else had wronged her in the past. The things that had been suppressed, that had been carefully avoided moment by moment, became bloated, and finally you all yelled and smoked and banged out the door in rage. When you first heard Mom had gone missing, you angrily asked why nobody from your large family went to pick her and Father up at Seoul Station. Me? You clammed up. You didn't find out about Mom's disappearance until she'd been gone four days. You all blamed each other for Mom's going missing, and you all felt wounded." over Mother's Day weekend. When I finished, I found myself thinking how little I knew about my own mother's hopes and dreams and how I never asked her these questions while she was alive. This thought had been something I had been thinking about as I have gotten older and though I could ask the people in her life, how much better to ask your own mother if you can. I think it would be a lovely conversation. For both of you. Paper flowers tied with ribbon, a novel rose and radish bouquet, a small gift tied with twine and love, a sweet card................any of it is wonderful, but mostly mothers are blissfully happy when their children are, that is the best Mother's Day gift of all. I am happy today. I hope you are too. 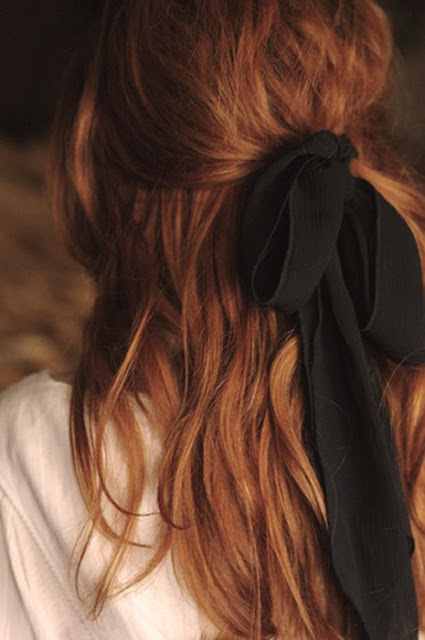 A length of black ribbon.........used stylishly. 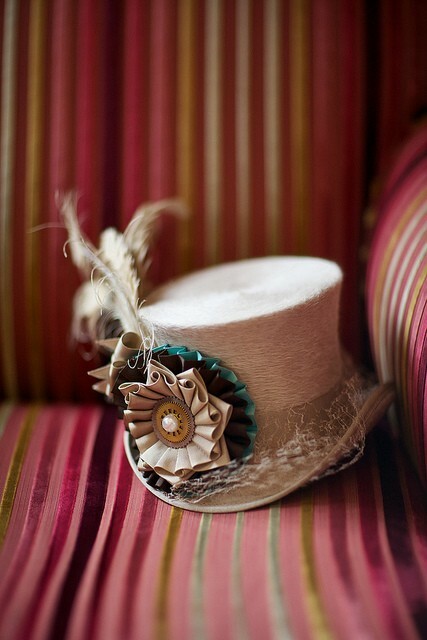 The millinery world offers some of the most stylish bows. 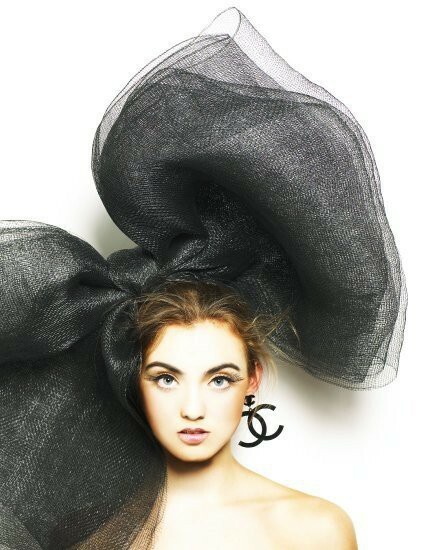 Wouldn't this be perfectly glamorous for the Kentucky Derby this weekend? Hats off to a style winner in the race for the best bow. The execution of the design, the materials, the technique have come together exquisitely (to say nothing of the outfit itself). My most spectacular choice this week in a parade of bows, so beautifully fashioned it takes my breath away. I couldn't help daydreaming last week while watching the Royal Wedding ...........how would I wrap a royal gift? I think this Valentino Couture bow would do perfectly, do you agree? 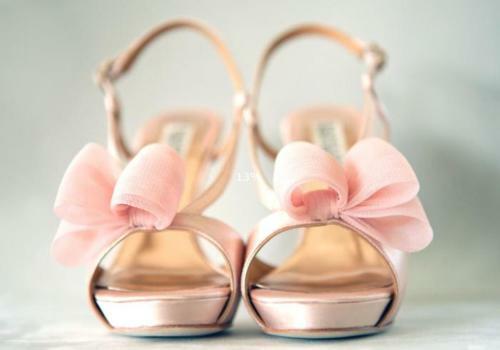 Pink velvet ribbon..................a triple bow on shimmery satin. 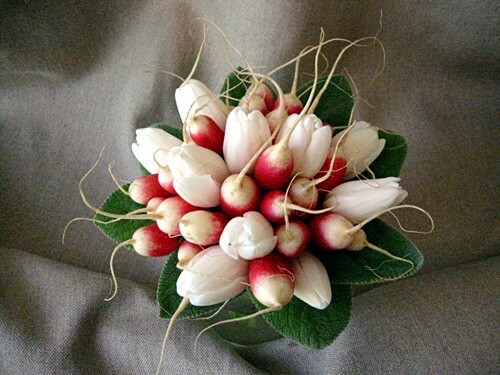 Would be just as lovely on a beautiful gift. 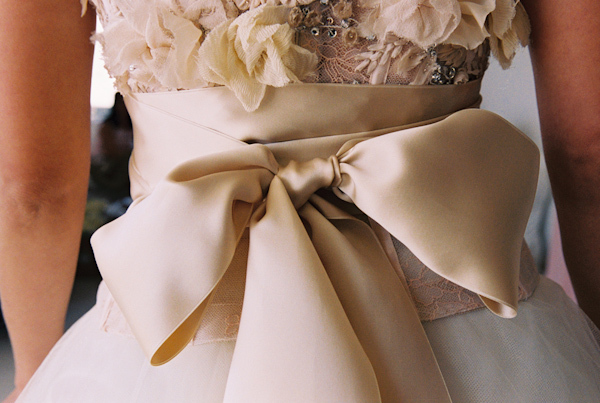 stunning bridal bow. Isn't the shade of ivory divine? Don't you just love a big, fabulous bow?